Hi TeaBeans blog fans (all one of you)! This weekend I was a hat factory, producing overtime. It was blizzardy in this NYC so I picked up a load of cozy yarn and made hats all weekend long! 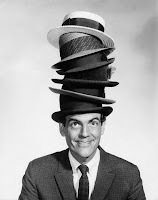 Since I normally don't have time to make so many crafties, I am going to post hats every week to give you something to read since everyone complains that my blog isn't worth reading because I post so sporadically and infrequently. Jerks. Anyways, enjoy the fiesta de sombreros in the upcoming weeks!